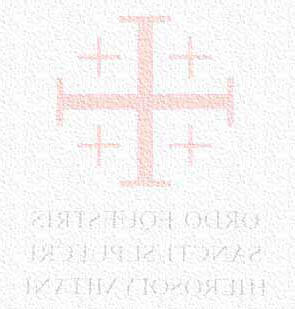 The name Marka is derived from that of the disciple Mark meaning a place of rest. Originally it was important because of its strategic position on the pilgrimage route from Damascus to AL-Madinah Al-Munawarah which passes through Zarqa, Rusayfa, Marqa, Amman and Ma’aan. The original residents were a mixture of Muslim and Christian tribes. The most prominent tribes were Al-Diaja, Abdullat and Al-Ritemeh who came from Salt. A section of the Al-Diaja tribe, the Abu Jamous, at first lived in caves, later they moved into tents made of goatskin. Eventually they built houses with mud and stones. Their main income came from agricultural crops and sheep. The town developed as more families migrated here, some from the Al-Hijazeen came from Karak and later, after the 1967 June War, many moved here from Palestine. Much development took place due to the establishment of an RAF base here. The land on which the airport is built, was granted to the Jordanian Government by Sheik Al-Diaja Abu Jamous. He was a personal friend of Prince Abdullah who loved the horse racing which was held at Marqa. In return for this kindness they named a main street after him. 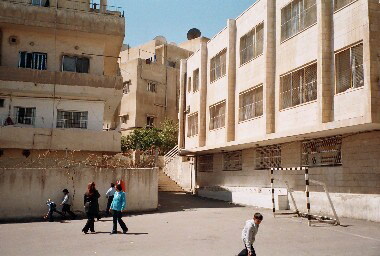 On that Flaieh Abu Jamous Street the first Latin Convent School was built. With the withdrawal of British forces the airport became a base for Civil Aviation in Jordan. It has since become the Civil Aviation Academy for pilots, other buildings being used as the Headquarters Offices for the Jordanian Air Force. The main air bases are further east, away from the border with Israel. The environment around Marqa is a medium economic area, mainly Christian, with very little industry consisting of mostly small businesses, shops and offices. The population is a mixture of professional, skilled and unskilled workers, most of them finding employment in the surrounding area. The school was built between 1962 and 1963. Originally it was for Kindergarten and Grades one to six. A new wing, with a residence for the Rosary Sister above, was constructed in 1968. 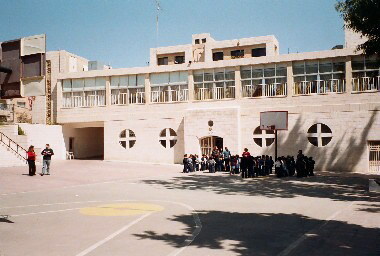 The main building was again developed from 1987 to 1990 when another floor and further extensions were added. This new floor and extension provided more rooms enabling the school to take the extra grades up to 10. Unfortunately there was no more space to provide rooms for grades eleven and twelve. Later by more efficient use of the space available it was possible to achieve a larger room for the staff, Principal and Secretary’s offices and a new Entrance, all done without losing any classroom space. At the present time there are further small buildings and an area, which could in time be more suitably adapted. Situated in a typically urban-environment, on a confined site, between high residential buildings, the school has very little opportunity to expand outwards. Further expansion can only be made with the conversion of existing buildings to more efficient use. During the past three years the school buildings have been refurbished. The last redevelopment was made two years ago when the Kindergarten, which had been on the first floor, was brought down to the ground level by the conversion of storerooms into classrooms and offices. The rooms vacated were then reorganised into a large meeting room for the youth organisations of the parish with two smaller meeting rooms. The original Principals office has become a library. There is the need, if possible, to develop or construct more classrooms in order to accommodate the final grades, eleven and twelve. This would stop the loss of this age group of students, when they transfer to other schools, mostly governmental, where there is no religious instruction or ethical atmosphere. Descendants of the original tribes still attend the school where they are prepared for higher education and life. Some of these students excel in their studies, achieving the highest results, and participate in the American Emdest. Based on their results some are granted full scholarships to continue their studies in the United States.